• Outreach for donations and collaborative relationships with companies whose products and services are needed. You may also join our online community by going to www.liveyourdream.org, an online volunteer and activist network offering flexible action opportunities to improve the lives of women and girls. 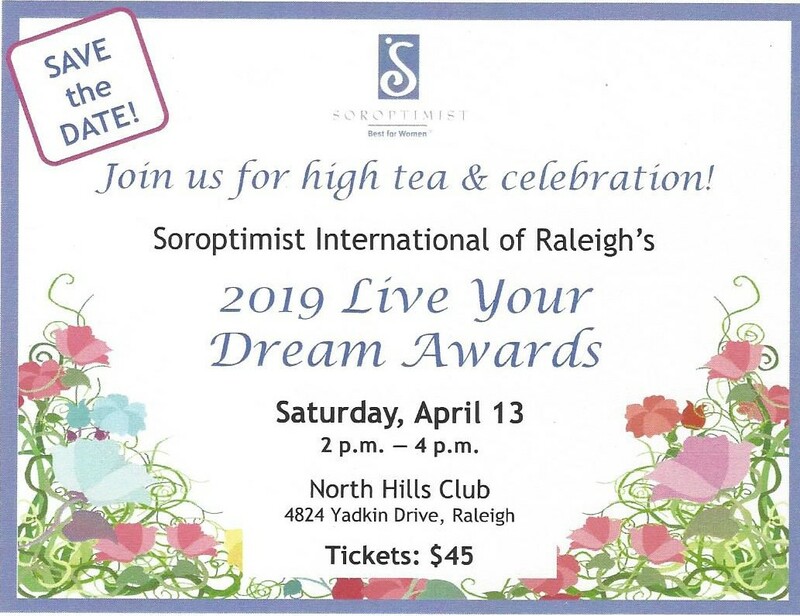 If you are interested in volunteering, please contact Soroptimist by email volunteer@soroptimistraleigh.org. If you would like to know more about joining Soroptimist, please contact membership@siraleigh.org.